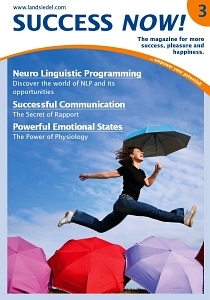 The goal of Landsiedel NLP Training is to make NLP widely known to anyone interested. Our network in Germany offers free evening courses as well as the trainings for NLP practitioner, NLP master, NLP trainer and NLP coach. All our trainings follow German and International associations' guidelines. For over 10 years, competitive tuition, pleasant ambiance, small training groups and numerous additional service features characterize our philosophy.